This week at the #ReedyLibrary students will come with their English classes to learn about the library. We want the students to know how to print and where to print to, where the online catalog is, what kinds of devices they can check out, where the ebooks are, and how to access the library website. I designed 10 stations for students to explore. The last station also involves them checking out a book. I created a Virtual Tour of the library which students can access any time to see all of the videos from the stations. 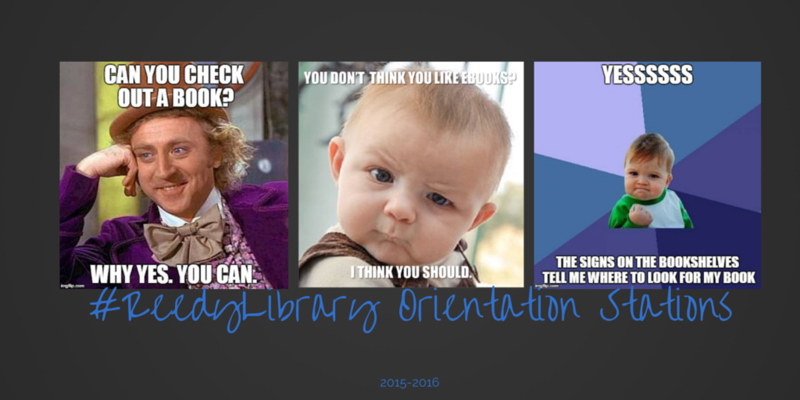 Here are the #ReedyLibrary Orientation Stations with QR Codes.